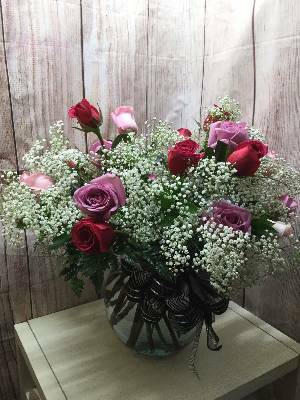 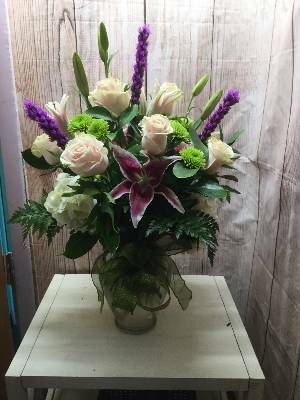 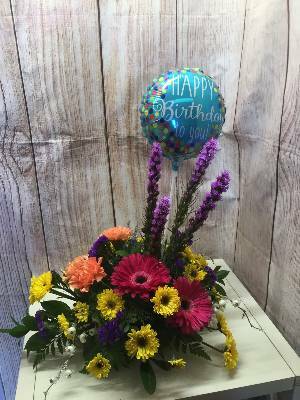 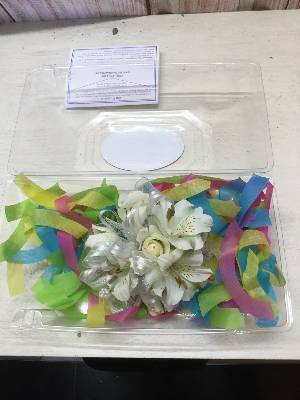 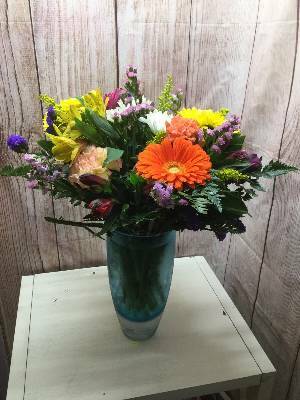 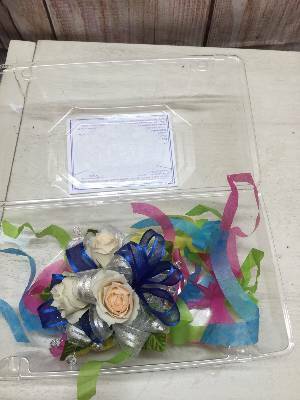 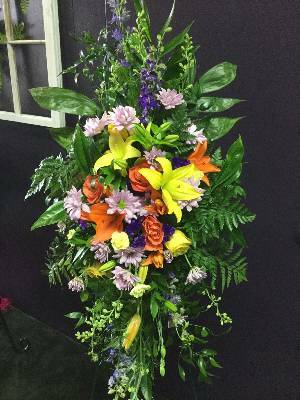 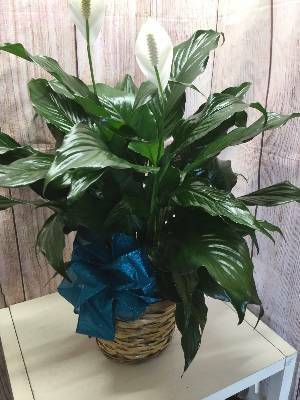 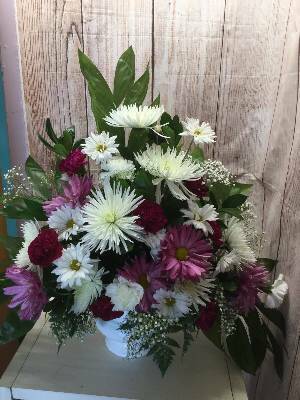 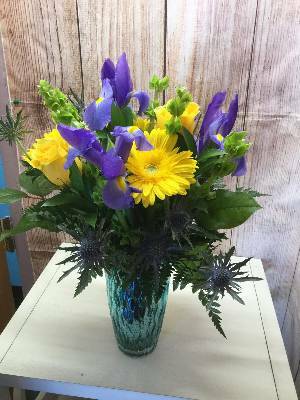 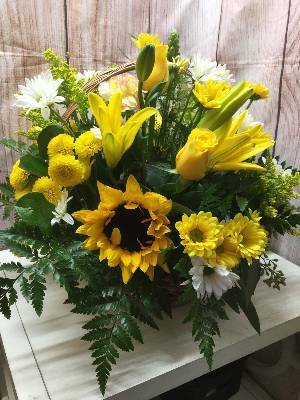 "THE ARRANGEMENT ARRIVED ON TIME AND VERY FRESH. 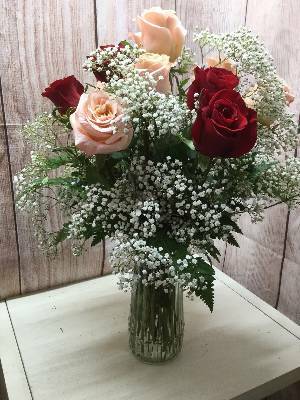 CORAL IS EVEN THE BIRTHDAY GIRL'S FAV COLOR. 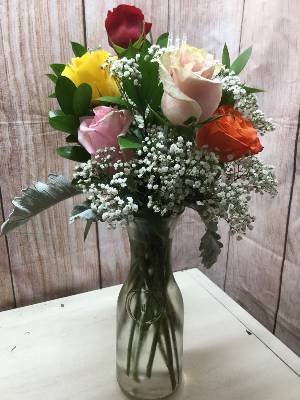 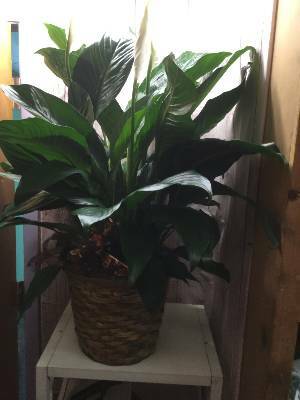 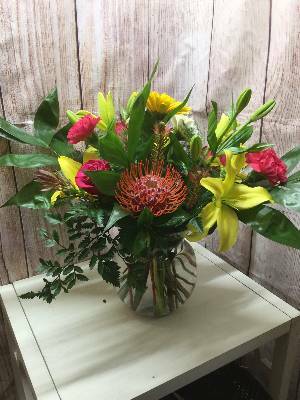 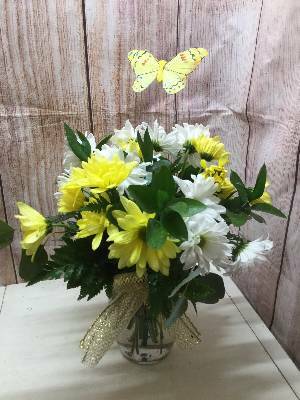 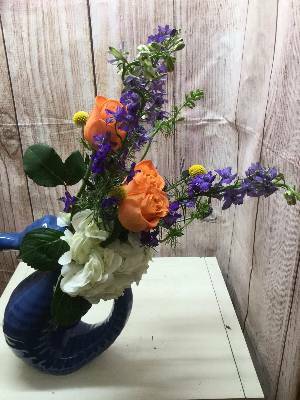 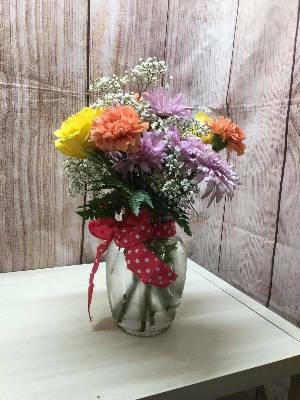 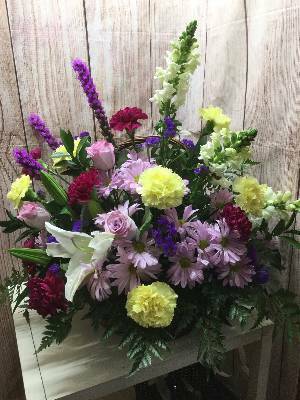 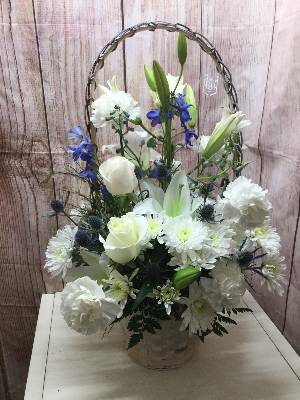 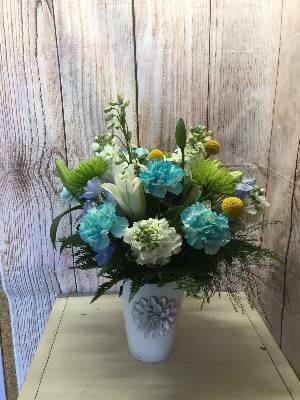 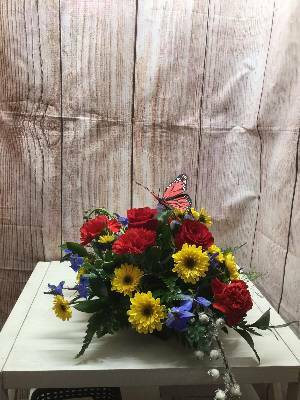 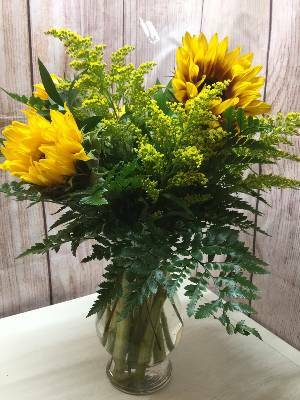 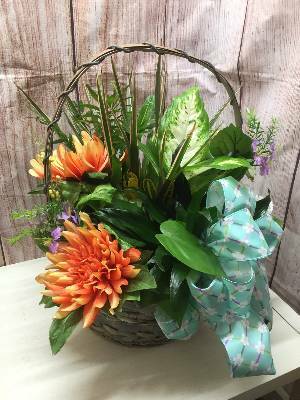 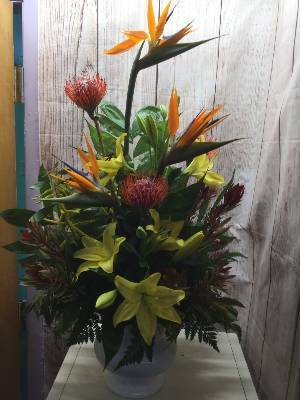 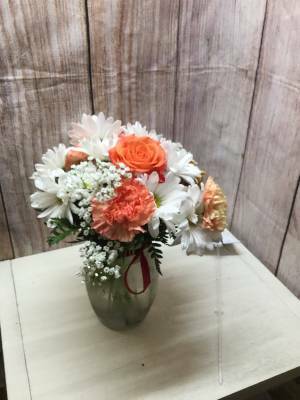 THE ONLY STRANGE THING WAS THE DEEP GOLD AND RED LARGE MUM IN WITH ALL OF THE REST OF THE PRETTY WHITE AND CORAL FLOWERS...DIDN'T GO WITH THE ARRANGEMENT."